No summertime sadness with these shades of blue. We are placing this fabulous and diverse color On the Pedestal. 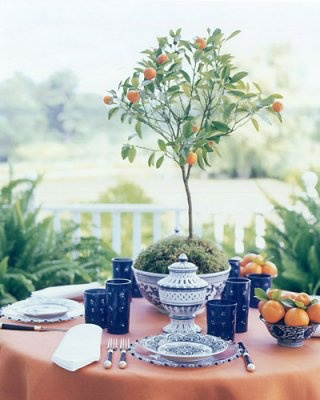 Blues range from light, powdery cloud-like shades to the deep, vast navy blues. Whether you fancy the depths of the sea or the clearest summer day, this hue does it all for you. Calming, rich, and never out of style we are singing the blues! 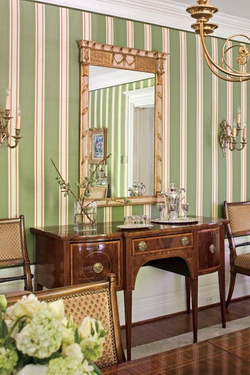 Even pattern-phobes can get in line with stripes! Clean, crisp, and just enough pattern to bring some (or a lot!) of interest to a space, stripes are the easiest way to enhance already striking prints or give something to a subdued room-- or wardrobe! 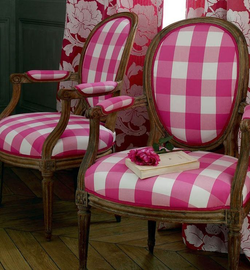 From Breton tops that make us long for Paris to striped dining room chairs, we are on board with this print and always ready for more. We aren't sure the last time these beauties were used for actual ginger, but they are useful for everything else! Arriving On the Pedestal today are ginger jars. 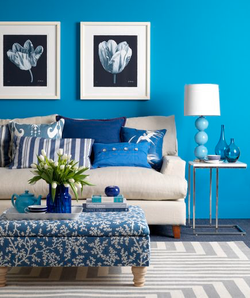 Most commonly found in our Color of the Month Blue, they don't stop with this hue. Ginger jars can be found in striking and unexpected shades of green, pink, even orange-- and all of them work well in spaces. 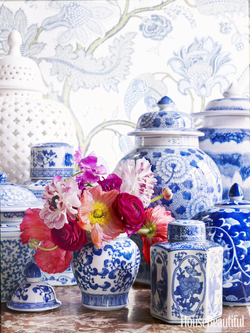 Filled with peonies or aglow as a lamp, we love seeing how you use ginger jars in your spaces. Tried and true as a summer BBQ, we can't do summer without a gingham check. The iconic print of picnic baskets, this playful print livens up your wardrobe and your spaces deliciously. We adore gingham's re-emmergnace into surprising wardrobe choices like one piece swimsuits and precious off the shoulder tops. How will you go gingham? It wouldn't be summer without remembering this important day in our country's history. While we munch on watermelon and stain our white tee shirts with BBQ, we haven't forgotten that our freedom isn't free. 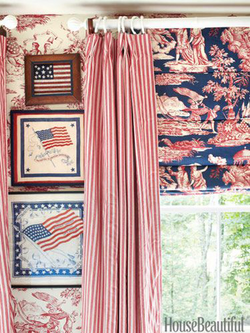 Our stars, stripes, and general love for red and blue decor is placed On the Pedestal with the most patriotic of holidays! Anyone have that co-worker you most look forward to seeing? Meet Sheldon, the office official mascot and true teammate. What weight he is actually pulling, we aren't sure, but office morale is better because he is always their to rifle through a bag or win a staring contest. 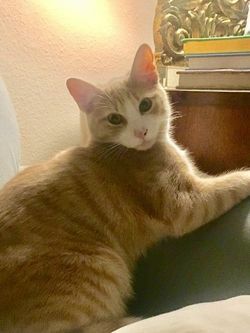 Sheldon is as important a fixture at the office as any ginger jar or striped pillow, and we wish he could read this and be as flattered as we are infatuated with him!